It's good to know that SS501 Persona Encore Concert notices are being put up, and the promotional video is out , cheering up the atmosphere and brightening TS's gloomy faces. Really looking forward to their performances, even though from afar. Missing them 501%. 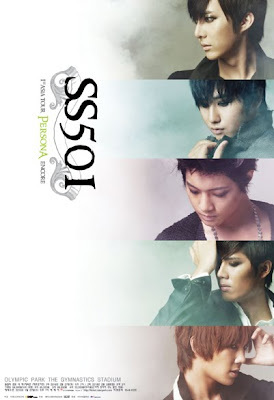 Hmm.... never thought being a fan of BYJ, KHJ and SS501 would get me into tough discussions and decisions. In for a penny, in for a pound !....I don't know how to go in half way ...always have to throw "heart and soul" into it....sometimes it's good sometimes it's not. Maybe I should go in to meditation ? If you read the below post and feel troubled, please don't worry...that is just my opinion and my way to support Leader, .....every one has their own way.